The project would double Russia’s exports of natural to Germany via Baltic Sea pipelines. 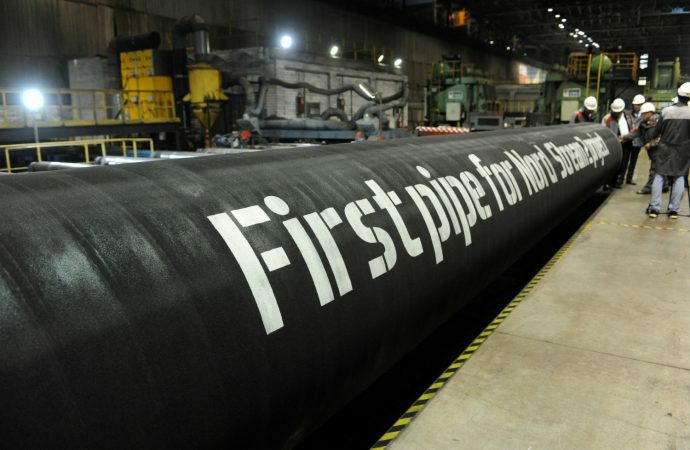 Germany’s economy minister Peter Altmaier will visit his Russian counterpart today in Moscow to discuss the Nord Stream 2 pipeline. The project would double Russia’s exports of natural to Germany via Baltic Sea pipelines, and Russia already accounts for nearly half of Germany’s energy imports. The Russian firm Gazprom constructed the original Nord Stream system in 2011. Gazprom, partnered with five EU-bloc energy behemoths, has maintained EU support against anti-monopoly rulings from Polish courts this week. Of greater import is Thursday’s statement from Russian foreign minister Sergei Lavrov asserting that Nord Stream 2 will be much cheaper than routing natural gas via Ukraine, which had been another possibility. This likely shuts Ukraine out of the profitable project. Altmaier is also scheduled to visit Kiev this week, presumably for the same natural gas supply discussions, but Russia’s stance indicates Ukraine has lost out on Gazprom’s project. The EU has supported Ukraine during its territorial standoff with Russia, but Germany could endanger the delicate relationship by siding with Russia’s pipeline plan. Expect rising tension between the EU and its strategic ally Ukraine if Altmaier collaborates with Lavrov.